Would be nice if he makes it looks nippy and had Waqar Younis impressed. In the 2nd video his bowling action looks a bit similar to Mohammed Talha.. This video is post-injury, btw. From a few months ago, earlier this year. Is it only me or the guy has some resemblance in looks with Mustafizur or Mahmudullah? Last edited by Abdullah719; 26th October 2018 at 15:29. Definitely some similar facial features. Mahmudullah somewhat, not Mustafizur. He has stronger features though. Hope he is watching Adam Milne bowl today in Abu Dhabi! Does anyone know what happened to this bowler? 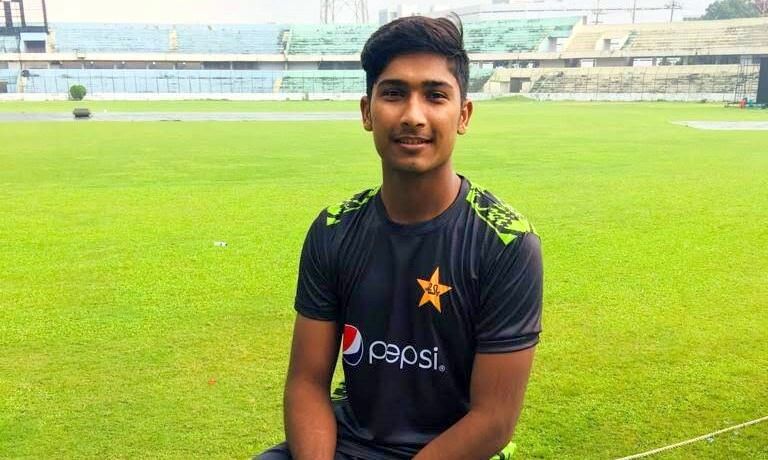 Hasnain, 18-year-old from Hyderabad, will be looking to make his mark in the Quetta Gladiators team under the captaincy of Sarfaraz Ahmed after having missed out the 2018 edition for Islamabad United due to an injury. “I am excited with the opportunity to play in HBL PSL 2019 for Quetta Gladiators and I can’t wait to share the dressing room with the leading stars of international cricket,” said Hasnain. “We have so many seniors in our team including our captain Sarfaraz Ahmed, Dwayne Bravo, Shane Watson, Sohail Tanvir and Sunil Narine. This is nothing short of a dream coming true for an aspiring cricketer like myself. “Last year was an extremely frustrating experience for me and I can feel for Naseem and what he must be going through,” Hasnain said. Last edited by MenInG; 6th February 2019 at 17:23. He has replaced Naseem Shah and will be playing for the Quetta Gladiators . After Mudassar's struggles in the last game, I hope Hasnain gets a go though it's unlikely. Really want to see more of his bowling. Hopefully he will clicks 150k today. OMG ! That is some real gas there. Brilliant! We are really need this guy along with Musa. Rauf is just hype. Hasnain is as quick as Haris Rauf. Already clicked 147 and 148 kph in his first over. Sami's longterm replacement from Sindh. that was a seriously exciting first over from Hasnain! waw good height.we have found another gem. OMG .Action Is Just so Beautiful.Waqar Younis Copy. This kid is the best fast bowling prospect I've seen from Pakistan in a while. Possibly eating a routine biryani somewhere and discussing the recent skirmishes bw the two neighbouring nations..
Looks resemble Sami, anyone else see the resemblance? No. More like 20 years old waqar yonis. All 3 are good. But at the moment if we need 2 it would be Hasnain and Musa/Rauf. Pakistani pace bowling is in safe hands. Alhamdullilah. Don't forget we have Nasim Shah too, reportedly the fastest in Pakistan. Rauf, Hasnain, Musa, Nasim, four bowlers who can all bowl in 90mphs. Then there is Shaheen who can easily get to that mark in few years time. Now that is mouthwatering ! 142, 140, 146, 140, 138, 146 in the last over. Wow serious pace from the lad, just imagine what Naseem Shah pace will be, visibly he is easily more quicker than Rauf and Hasnain and his bouncers are definitely the fastest in Pak at the moment. I saw 149 as the last ball? Preserve all these young bowlers. We are seeing such cluster of talent after a very long time. I just saw it for a moment then the ads came on, might be wrong. As I said at the time why did IU let him go?! And why did it take QG take so long to play him! It was either 148 or 149 but definitely not 146. Damn.... not following PSL for last 2 days due to political situation but a guy clocking 149 is EXCITING. How is his action, did he get any movement? Or is just sheer pace and nothing else? Yorkers? Little bit of seam movement into right handers and away from left handers. Skiddy bowler. Seems similar to sami. He wasn't just bowling at 145+ but also had a good seam position. Lovely! Rauf probably but he's slightly older and idk seems like he may suffer from an injury at some point. And Naseem Shah definitely, very excited about his development. I am seeing this young man for the first time and I must say I am very impressed. He should be brought in for some A tours. Any videos of him from today? Waqar like slinger. A bit raw at the moment but exciting prospect. Can he swing away from the right-hander? Pace is exciting but control and swing will ensure long-term success in the international arena. If he stays fit than he has all the ingredients to develop into a quality bowler. Wides today seemed more like nerves. His action should allow him to be fairly accurate. I rate both Haris & Hasnain but technically and action wise Hasnain is ahead atm. But both are breath of fresh air after a long wait. Is Naseem Shah really even faster than Rauf and Hasnain? We do not know exactly. As per Mudassar Nazar Head of NCA he is quicker than Musa. He has altered his action which was needed so we do not know his pace post injury rehab and action alteration. Shaheen will be fine even if he doesn't touch that mark. He's just an intelligent bowler with real skills. Doesn't need to be bowling at 145+. Wouldn't hurt if he could do that though. Exciting stuff. Was rushing Haris which is very rare (albeit Haris has just returned from injury). Signs re MH's character/brains are good. Look at how improved his confidence was from first game to second. Also has a brain. Some great channel bowling- not just relying on pace (a la spray gun Wahab Riaz). Surprised no one has mentioned how he is seaming the ball both ways. Brains and speed is a lethal combo. @Abdullah719 please upload his second spell to this thread.